About: Leara Rhodes received her doctorate and master degrees from Temple University in Philadelphia and her bachelor degree from the University of Georgia. She is an Associate Professor of Journalism and International Communication in the Grady College of Journalism and Mass Communication at the University of Georgia. Dr. Rhodes’ research focuses on the role media play in society. She has researched the roles media play in forming a more democratic society, in improving management philosophies for media owners, and in changing societal norms. Her book, Democracy and the Role of the Haitian Media, published by Mellen Publishers in the U.K., examines the role of media during a country’s transition from an autocratic to a more democratic form of government. Her second book, Ethnic Media: Reshaping the American Dream published by Lang Publishers in New York, uses examples from many different foreign language presses published in the United States to argue how these presses reshaped the American Dream. Her current book project is Peace Through Media, conceptualizing how to teach students to cover conflicts. Published journal articles have appeared in international journals specializing in development communication and in Caribbean studies. Dr. Rhodes had a Fulbright Scholarship to Haiti and has worked extensively throughout the Caribbean conducting journalism workshops and participating as a writing/editorial consultant for newspapers. She participated in a radio forum on press responsibility in the Caribbean sponsored by the Council for the Humanities of the Commonwealth of Puerto Rico. UGA awarded her an international fellowship to develop an exchange program with the School of Journalism in Mwanza, Tanzania. Dr. Rhodes’ teaching interests are magazine management, magazine article writing, magazine editing and design and international communication. Dr. Rhodes has conducted study abroad programs to Haiti, Trinidad, Italy, London (U.K.) and Tanzania. She developed the advanced editing and production course to produce a magazine from idea to distribution in 15 weeks. The class provides students with a capstone course that highlights critical thinking, management, writing and editing. Through this course, Dr. Rhodes has launched 40 new magazines. Several magazines have been continued through various partnerships including Atlanta Parent distributing Connect, the American Business Media in New York distributing Pressed and the Vice President of Service and Outreach funding Twelve, a magazine for teens at risk of dropping out of high school. Dr. Rhodes has published several journal articles on teaching. Dr. Rhodes was a full-time freelance writer in the southeast and worked with the following clients: Coca-Cola USA, C&S Bank, The Fortune Group, Cox Communications, Contel, Southern Solar Energy, Lauffer and Associates and Justice Systems. She published articles in Atlanta Business Chronicle, Business Atlanta, Atlanta Journal/Constitution Weekly Magazine, Peachtree Magazine, Abstract: Magazine for the Arts in Atlanta, Atlanta Gazette, Off Peachtree Magazine, Venture Magazine, Imprint Magazine, Athens Banner Herald, Jacksonville Daily Progress, Marietta Daily News, DeKalb News, The State Newspaper, The Trinidad Guardian, Merchandising Magazine, Athens Magazine, Georgia Wildlife Magazine and Lake Oconee Living Magazine. She was editor of Creative Loafing, an alternative newspaper in Atlanta and has filled in for the news director at the Trinidad Guardian in Port-of-Spain, Trinidad. In 2006, Dr. Rhodes received the Journalism Teacher of the Year Award and the Roland Page Graduate Teacher of the Year Award. She was awarded the Barry Bingham Sr. Fellowship for leadership in education and attracting minority students into journalism careers presented by the National Conference of Editorial Writers Foundation, Inc. 2004. The Haitian Studies Association recognized Dr. Rhodes for her contribution to education in 2004. She was awarded the First Annual University of Georgia Diversity Award for exemplary efforts toward advancing UGA’s Mission of Diversity and Academic Excellence in 2004. 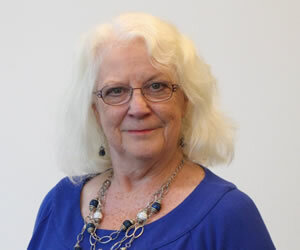 The Grady College recognized her teaching with the Dean’s Teaching Award and the Alpha Omicron Pi Sorority’s Outstanding Faculty Award in 2000. Dr. Rhodes was invited as the first educator into the MAG Hall of Fame in recognition for devotion and contributions to the Magazine Association of Georgia in 1999. She was recognized for outstanding service in the promotion of African Studies and was presented the Outstanding Faculty Award by the Alpha Omicron Pi Sorority University of Georgia chapter in 1998. Her paper won the AEJMC Top Faculty Paper in the Magazine Division for “Magazines in Capitalist Russia: Impact of Political and Economic Transitions in 1997. And her co-authored article with Jan Smith and Sylvia McLaurin won the Literary Award for “You Were Right, Sam Johnson” given by the Georgia Adult Education Association in 1996.